A New York rarity: a dynamic, full-service high-rise condominium that retains a sense of intimacy. 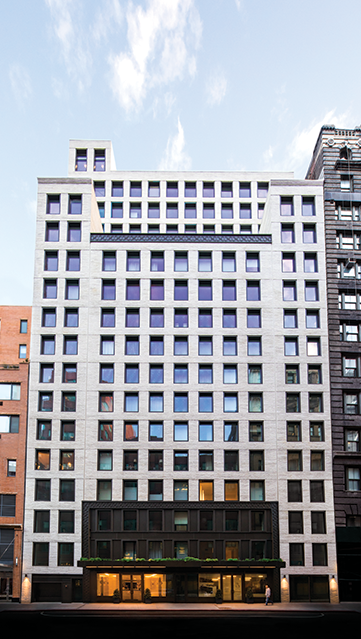 Architect Morris Adjmi, celebrated for his innovative use of materials and technology in reimagining New York’s downtown cityscape, designed 55 West 17th Street as a modern collection of homes inspired by the context and heritage of the neighborhood. At the convergence of the vibrant Union Square, Meatpacking, and Flatiron District neighborhoods, a collection of 52 distinctively modern and classically inspired condominiums emerges. Handmade, richly textured brickwork. Architectural metal accents. Artisanship at every turn and in every corner. Quality, craft, and superb design define the residences at 55 West 17th Street.